How those Facebook “who viewed my profile” Apps Works to steal your data ? Where is the proof that these “who viewed my profile” Apps are fully fake and scams ? How those Facebook “who viewed my profile” Apps Works is by the way a bad fraud human show various tricks to rip you out. 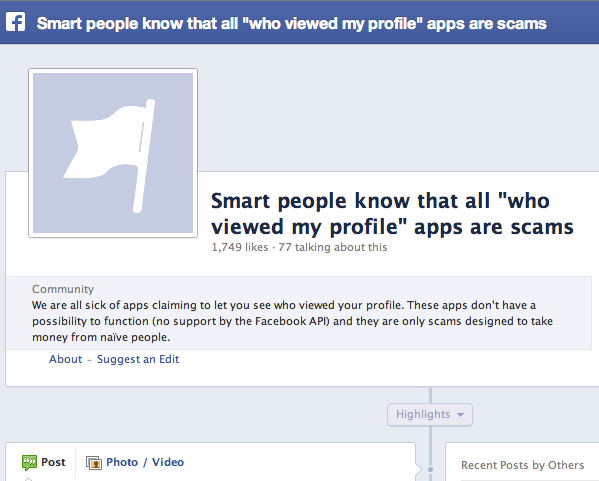 How those Facebook “who viewed my profile” Apps Works : Unless Your Secure Yourself You are Unsafe ! But that nice looking image file is being generated with “REAL DATA”, then ? We actually wrote the usage of this method for a good reason. As Facebook was developed for an University’s campus usage not like a script like the dating websites, it by default shows the person who visits the profile of more closer age*. This is actually pulled from one Ajax call in PHP snippet, I am not giving the reference, you can find yourself easily. *Explanation – If Corrine Aunt in above example visits my profile more than my a batch mate, the likely hood is, that batch mate’s image will show in that Friends box. There are various other factors like less conversion ratio (visited but not shared or gave like). Another PHP script can ‘stitch’ these images to one real looking image output by these “who viewed my profile” App. The number of visits are possibly fake or snipped from another data. We explained the first one of their list. These apps has the potentiality to do a session hijacking. This Article Has Been Shared 8045 Times! Cite this article as: Abhishek Ghosh, "How those Facebook “who viewed my profile” Apps Works," in The Customize Windows, May 10, 2013, April 21, 2019, https://thecustomizewindows.com/2013/05/how-those-facebook-who-viewed-my-profile-apps-works/.